Today I will teach you how to draw comic cartoon owls. Owls are almost always portrayed as wise creatures, and for this reason cartoon owls can often be seen with a monocle or a graduation cap on. 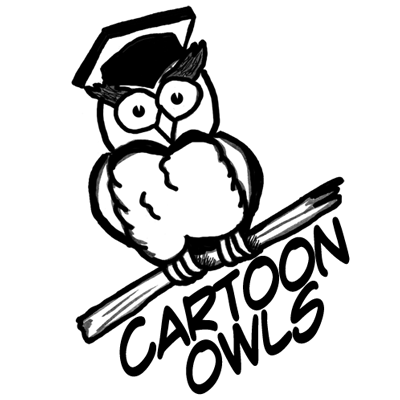 Our cartoon owl will have a graduation cap on and will be perched on a branch.